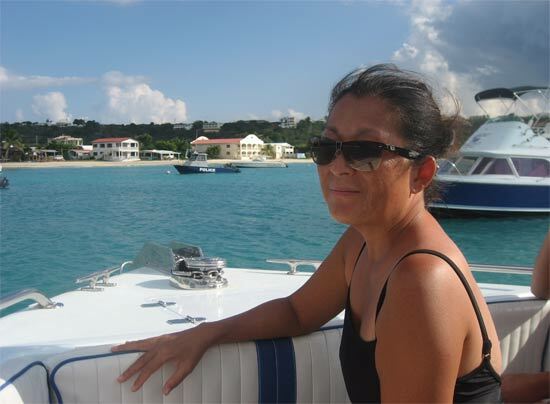 I will always remember the Anguilla boat tours with two of our favorite people, Shaun Webster and his very sweet and fun, late brother Jeff, aboard their boat Sea Grape. But since 2006 Sea Grape has been in dry dock and never managed to get back in the water. 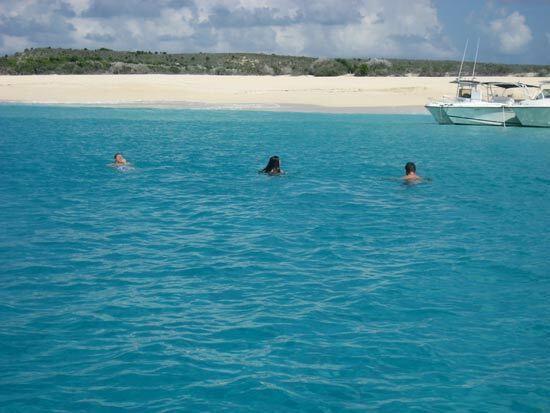 During a visit back to Anguilla we felt the urge to get back in the sea. 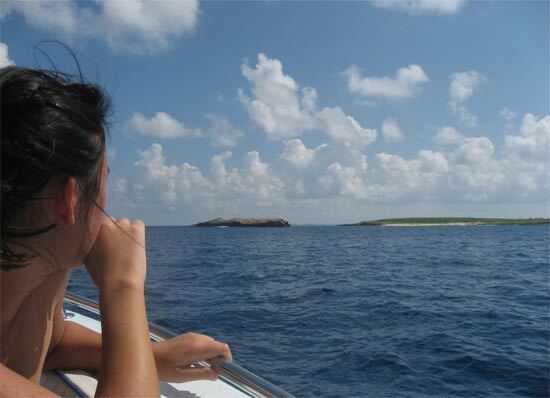 And so began our hunt for the best Caribbean charter. 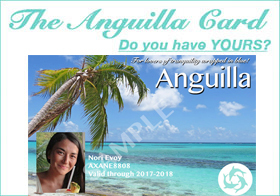 We asked several dear, trusted friends who know Anguilla, its waters, and the boats that ply them. The same name kept popping up... "Talk to Garfield at Gotcha!" The man on the left in the photo above is Garfield Richardson. He owns and runs this smooth operation. Bryan and Cody (right) would be our captains for the day! 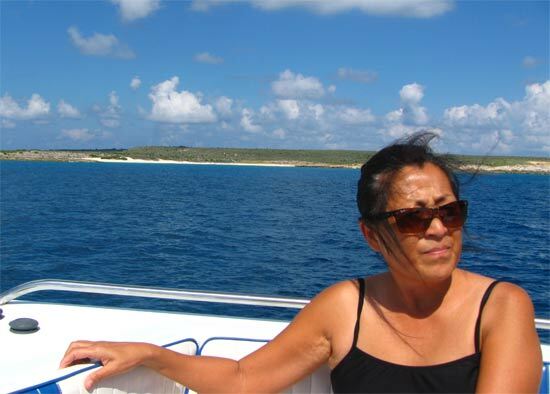 Our friends assured us that the boats are well maintained, and that Garfield's captains the boat are warm, friendly, and most importantly, top notch seamen. The Gotcha! people are straight shooters. Another friend told us, "If the day is grey and bad, they will tell you the day is grey and bad. They won't just take your money." 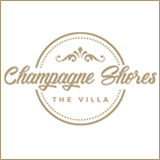 They are honest, nice guys providing a wonderful service. Garfield has five boats in his fleet: Summertime, Summerbreeze (both Sunseekers), Gotcha Again, Gotcha Too, Gotcha, and Gotcha Reel Good (their deep sea fishing boat!). 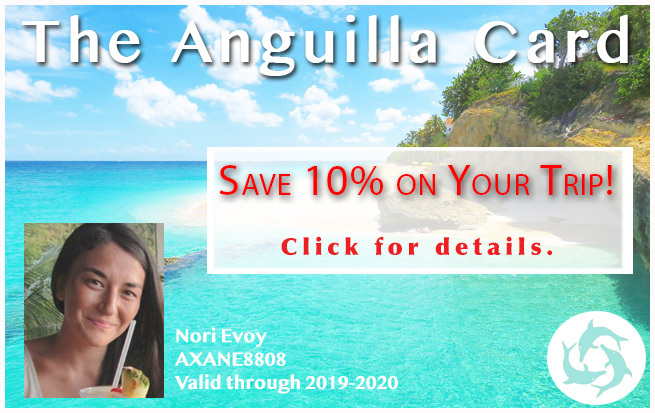 They offer many different Caribbean charters: Airport transfers, trips to all Anguilla off-islands, as well as day trips to St. Barts and St. Maarten, and deep sea fishing. Of course, their services aren't limited to that. 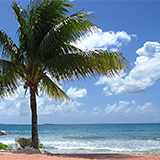 Want to take a peek at Sombrero Island? Just call and ask! They are truly nice people and so accommodating. 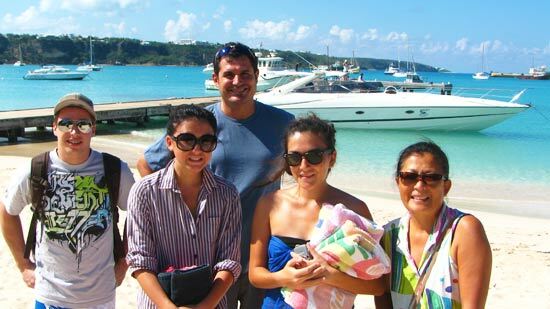 Along with our close family friends Mike (who built our Anguilla home) and his son Tomy, we set out for a day of sea, sun and sand! We met the Gotcha! guys on the wharf at Sandy Ground. They were already there, preparing our boat, and another one of the Sunseekers. We shook Garfield's (enormous!) hand, and, as promised... what a warm and friendly man! His crew? Just as welcoming and endearing. 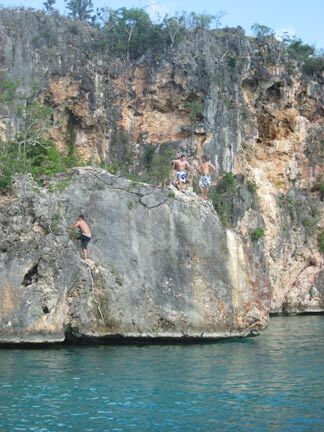 Cody and Bryan would be our captains. We felt safe in their care aboard "Gotcha Again." Our destinations? 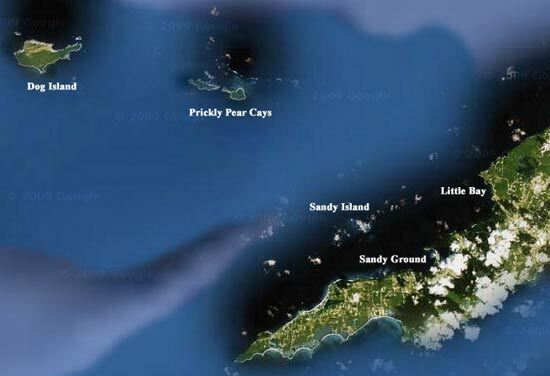 Dog Island and Sandy Island! 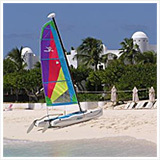 Gotcha Again was made by the famous Anguilla boat building company Rebel Marine. 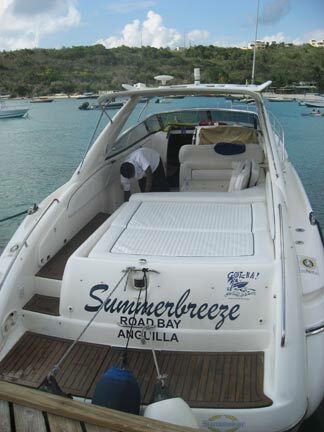 They make some of the best boats in the Caribbean. 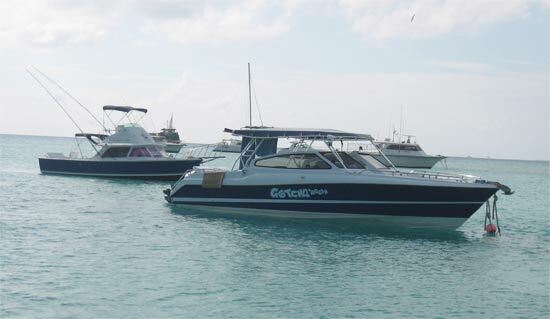 Gotcha Again is 34' with 2 225 HP engines. 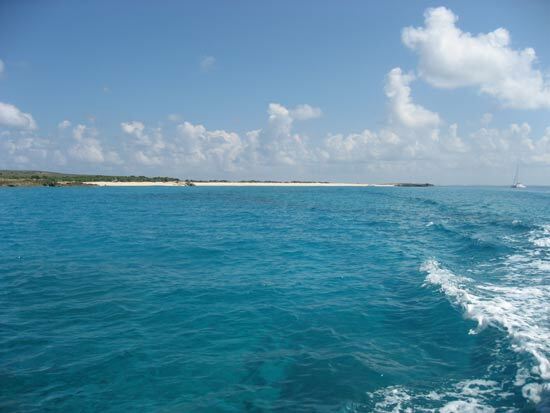 We were headed to Anguilla's most westerly cay, Dog Island. We were excited as none of had ever been there! The sky was clear and blue, the sea was still and calm. The sun shone bright overhead, but we were cooled down by the wind and the sea. You never know how baked you really are until hours after you get off the boat. Tip: Make sure you put on sun screen no matter how "cool" you feel (if you burn easily)! 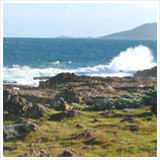 The wind, sea spray and swimming can be deceiving. Gotcha Again skimmed the ripples of the sea. We didn't have a care in the world! You can plug your iPod into their boat too, listening to tunes along the way. They have drinks on board: Sodas, water, beer and rum punch. Along the way we chatted with Cody as Bryan drove the boat. 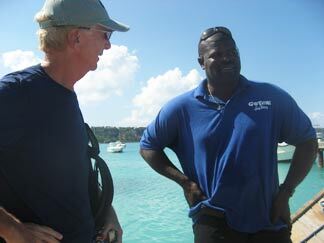 He pointed out the best places in Anguilla to fish to my Dad, Mike and Tomy. I heard him mention Dog Island and I had to ask about the sharks. "They don't come in close," he smiled. 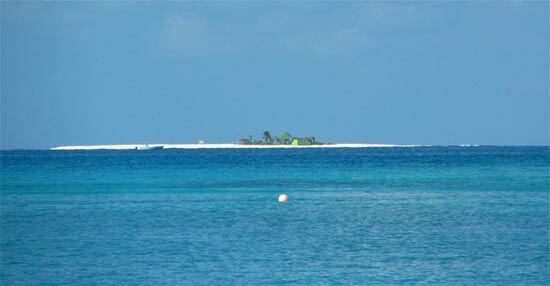 Dog Island sits all by itself, well off of Anguilla's north shore. 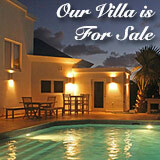 You can't even see it from Sandy Ground, although it is visible from Anguilla's North-Western shore. The ride is about 20 minutes long... Somehow boat rides are never long enough. 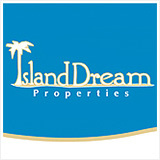 It is a privately owned island, over 500 acres, one of the most pristine we have ever seen. 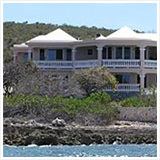 It is untouched, without electricity, buildings or even any ruins (unlike Scrub Island). I thought to myself, "this is what Shoal Bay must have looked like back in the 60s." 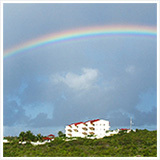 There were a few French families from St. Martin there that day, but other than that? We were alone. The sand stretches forever down inland before meeting a couple of salt ponds. Beyond the salt ponds are a few more beaches that look more shallow. They are quite pretty, but less majestic than "the main one." Of the sharks at Dog Island. I had heard stories... Who knew if they were true or not? I didn't want to be shark bait! Yuki rolled her eyes, and jumped in. Mrs. I'm-Afraid-of-Sea-Life took the plunge! How could I back down? I will admit that my heart was racing. I was still nervous about the sharks (even if they would be little ones!). I wanted to reach the beach as quickly as possible . Tip: The swim to shore is fairly long and there is a gentle current that pulls you back, so if you are not a strong swimmer ask your captain to bring you in closer to the beach. On our swim back I asked Cody and Bryan to back up the boat. There was no way I could make it back the full length. What a relief to be back onboard! After all that swimming, the scariest part of the sea at Dog Island was the strong tides. No sharks that I saw! 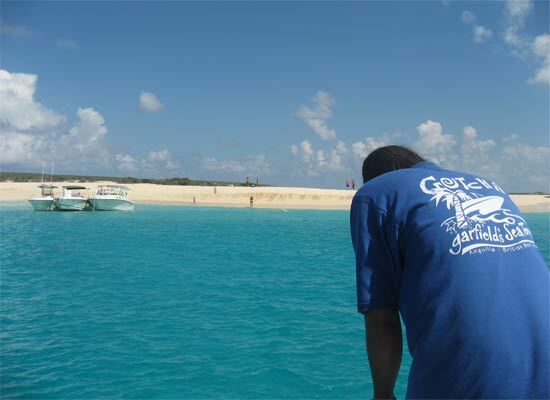 With that, we set out for Sandy Island. Cody and Bryan planned a pretty route back, around Dog Island so we could see the whole island, close in past Prickly Pear so we could take a peek and then down to Sandy Island for lunch. As we went around the island, we asked Cody "Why the name Dog Island? Are there lots of dogs?" 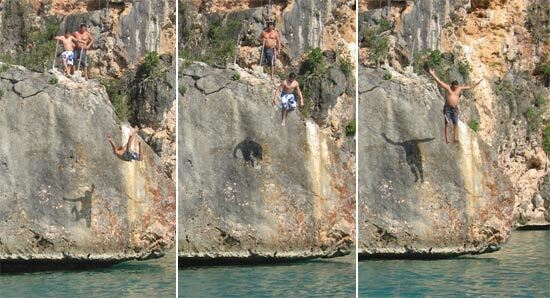 No dogs, only goats, he told us. And many different kinds of seabirds, too. So, where did the name come from? It's still a mystery! 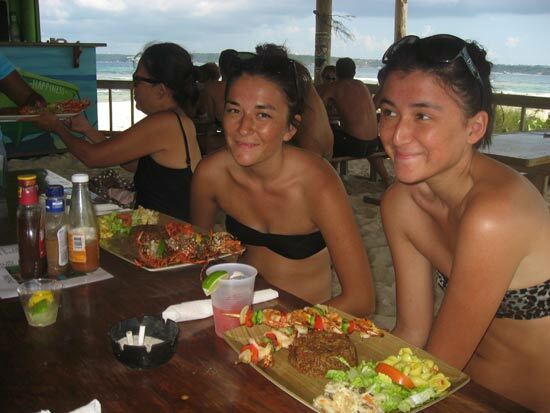 We had been to Prickly Pear once before in the early 2000s with Rollins Ruan aboard his catamaran, Chocolat. 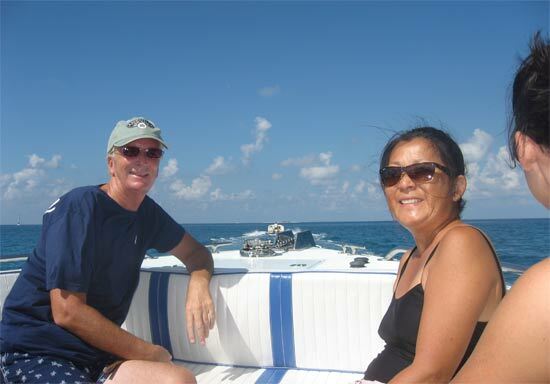 Rollins and his wife Jackie, owner of Ripples restaurant in Sandy Ground, provide a wonderful afternoon for their guests to this pretty cay. 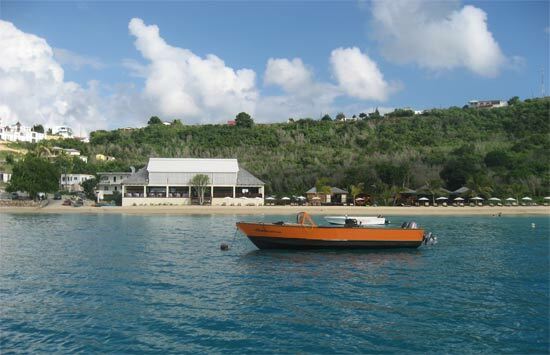 Back in the early 2000s there was only one restaurant on Prickly Pear's quiet shores: Johnno's. And you never expected to see more than one boat keeping you company in the calm bay. 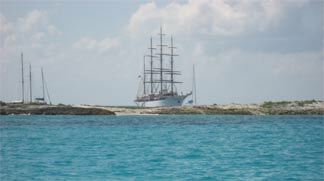 Perhaps this interesting cruise ship was the reason for all of the people flocking to the beach. I would sure like to know how you can get a ticket aboard a ship like that. Not your typical Caribbean cruise ship that's for sure. Regardless of its popularity, and the many more French boats from St. Martin, Prickly Pear's beach is still beautiful and clear! 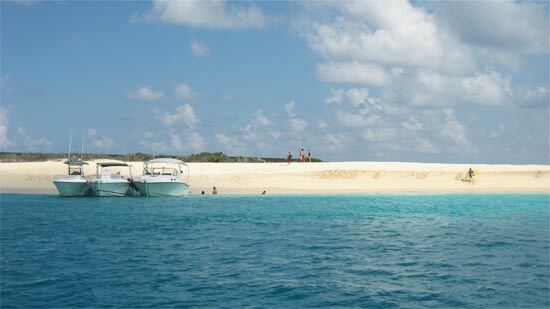 We would have liked to stop and enjoy a refreshing swim, but lunch would soon be waiting for us on Sandy Island. Tip: Ask the Gotcha! guys to pre-order your lunch at the restaurant on Sandy Island that way you don't have to wait for BBQing, which can be quite long if they are busy. You could spend all afternoon here and still never be ready to leave! Jojo makes a tasty lunch, and rum punch. 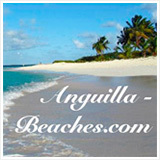 But more about Sandy Island Anguilla another time... After some serious rest and relaxation (no fighting tides! ), I thought we were on our way home. 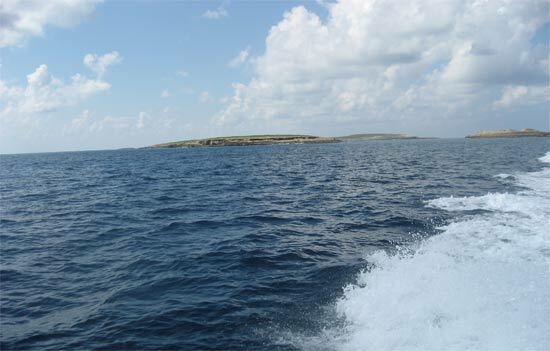 The boat took off east towards Little Bay. 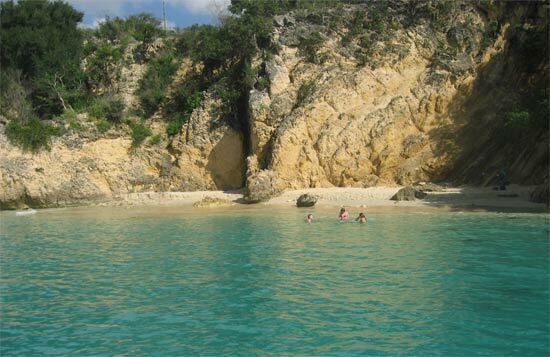 I can't even count the number of times I have come to Little Bay with friends over the years, but it had been so long since the whole family was together swimming in the secluded bay that shines an extra special shade of alluring azure. Cody even did a flip! The day was getting late, and a little rain cloud was passing over Little Bay. We took that as our cue to head home. On the way, Cody and Bryan made sure we saw the sights... Bryan drove the boat steady, and Cody gave us the facts! Gotcha Too! and Gotcha Reel Good! We said our final good-byes to Cody and Bryan. They were wonderful captains! Cody was so welcoming and lively, pointing out fun facts about Anguilla along the way, checking up on us and making sure we were taken care of. We felt completely at ease with them. Garfield Cleaning His Catch of the Day! 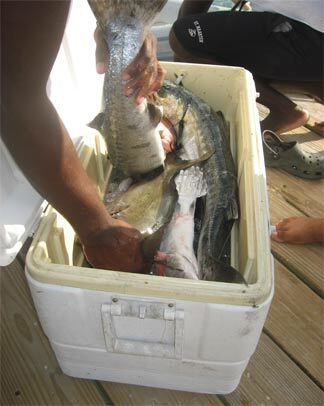 Then his friend, Carl Irish, opened a cooler showing off even more fish, including the ever-menacing Barracuda. Next time? We are going deep sea fishing with Gotcha! Garfield's Gotcha! 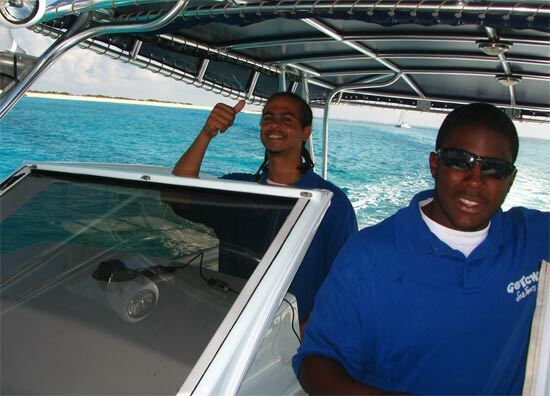 offers a wonderful service, highly competent, confident and pleasant captains and crew. 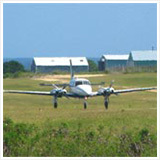 We were delighted to find a safe and reliable Caribbean charter of an amazing quality. It had been the perfect afternoon. Nothing beats being on the sea, swimming in the warm, clear water, devouring tasty crayfish and drinks... Was it really already over? 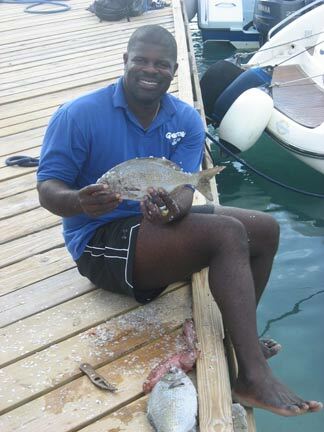 ... Only until our next Caribbean charter with Gotcha!